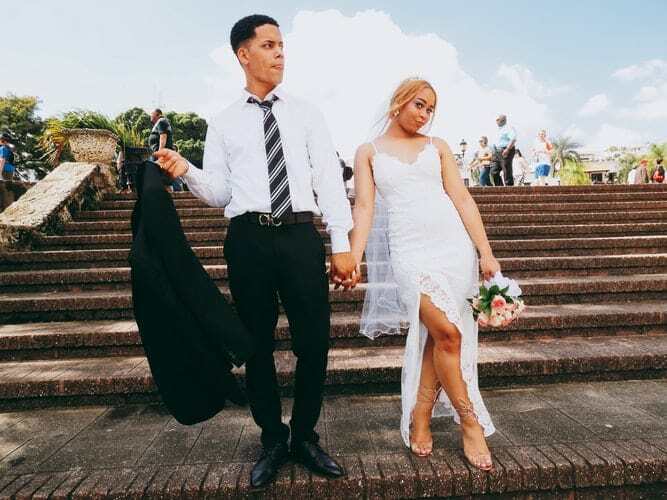 Engagement gifts are quickly becoming a growing trend as friends and family members want to share in the joy of the happy couple planning their future together. Because it is not considered traditional as of yet, choosing an engagement gift may be difficult for some individuals. Here are a few great engagement gifts that are sure to be excellent gifts for couples in 2019. 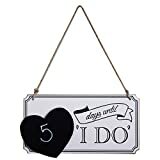 A cute and simple wedding countdown sign will allow the happy couple to count down the days to the big ceremony. They can be displayed on the wall to remind everyone at home or at the office to save the date. These gifts retail for less than $20 at most stores. 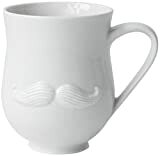 These cute reversible mugs feature lips on one side and a mustache on the other. It is a fun keepsake that could be one of the first items that they own together as a couple. And it is a great gift choice for coffee drinkers. This set of two mugs retails for $24. The Kate Spade Bridal Planner will make an excellent engagement gift for the bride-to-be. It is a classy little notebook that can be used to quickly write down wedding ideas or it could even be used as a journal that the bride can refer back to after she’s married. This product retails for $48. This candle features a sweet scent that is a combination of mango and coconut that is pleasant and not overpowering. It would be the perfect sentiment to light up a romantic dinner for two or to save for the honeymoon. You can also find similar candles at Antropologie that feature scents such as Wild Honeysuckle and Red Berry Amber. 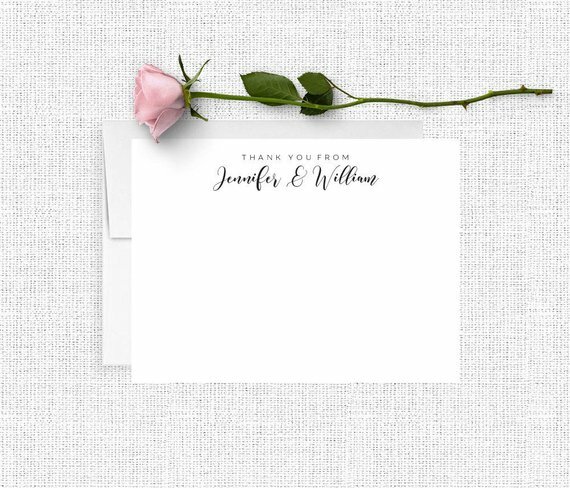 When the bride needs to write out “thank you” cards for her wedding gifts, give her the option to send the message using personalized stationary designed especially for the new couple. This will give them a headstart on new stationary and you can even choose to add custom envelopes. There are plenty of designs available, and this is one gift that you know will be useful and treasured for years to come. This stylish and sophisticated passport wallet will come in handy when the happy couple goes on their honeymoon or any other international trips together once they are married. It features a ticket flab to provide a safe place for their boarding pass and many pockets that can hold their ID, credit cards, and other important documents. It retails for $58 and it is available in a variety of colors. This unique and useful product lets the happy couple store their rings where they will be kept safe and never misplaced. The Kate Spade ring holder is the ideal place to store rings while you are bathing or washing dishes. 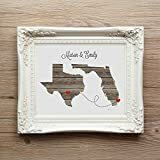 If the bride and groom are from different parts of the country, consider this simple yet thoughtful Home State Art that they can add to their new home. Each state can be customized with natural finishes and you can even place an icon in the area of the bride and groom’s hometown. This personalized item retails for $16. 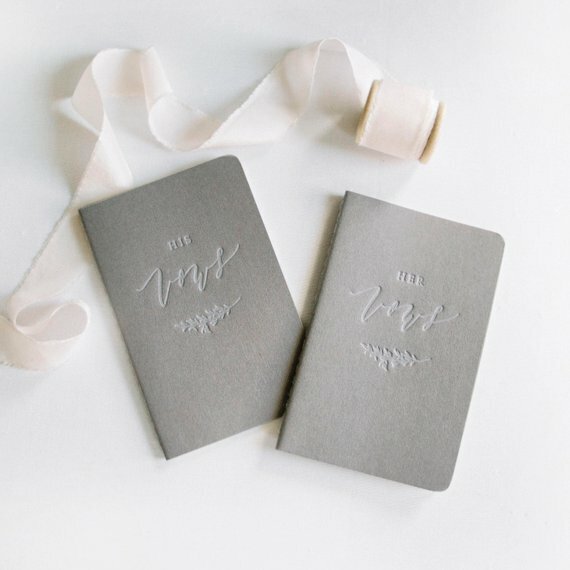 These Letterpress Vow Journals are the ideal gift for the couple that plans to write their own wedding vows. And even if they change their mind, the small pocket-sized notebooks are perfect for writing down notes or keeping a journal throughout the engagement. The Future Mrs. Gift Box will make her engagement official with a cute coffee mug and matching saucer or a wine glass and classy ring dish. It is a great gift to present to your best friend, daughter, or granddaughter to congratulate them on their upcoming nuptials. This thoughtful gift box retails for $25. Give her a place to store all her flower arrangements that she will receive from him throughout their engagement with these lovely Translucent Bubble Vases. These vases will also look great inside their new home that they will share together, and they can be remembered as one of the first gifts that the couple received together. 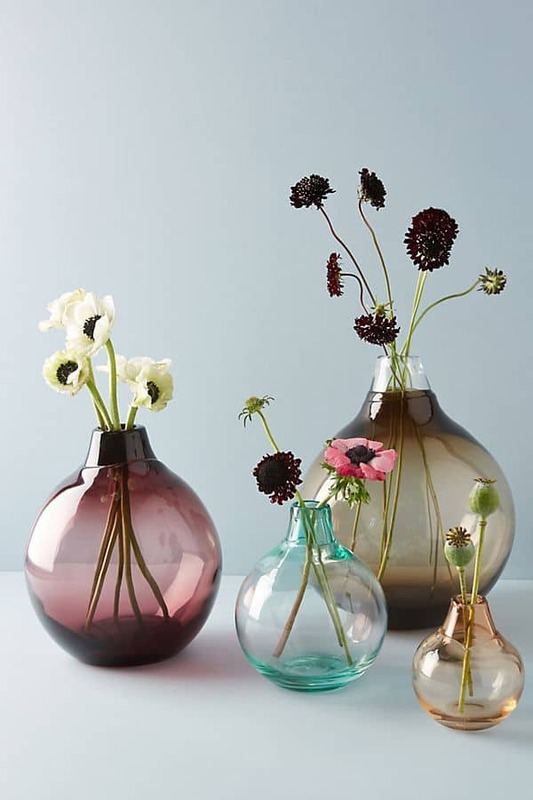 The vases are available from Antropologie from $14 up to $32. The newly engaged couple will have a lot of announcements to send out during this time. Why not provide them with a gift that bears both their names so they can get started with invitations, save-the-dates, and thank-you cards? 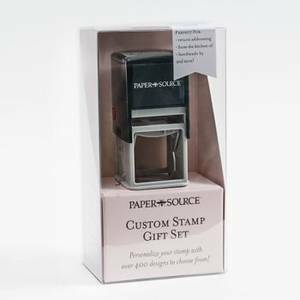 This Custom Stamp Gift Box will save the bride from having to rewrite her address countless times and both the bride and groom’s names can be added to it. Give them a gift that is as sweet as they are with the three-piece Candy Bento Box from Sugarfina. It features delicious candies with three champagne-flavored gummies for them to enjoy. If you are looking for something a little different to present to your newly engaged friends, this is an excellent choice. These candies retail for $28. 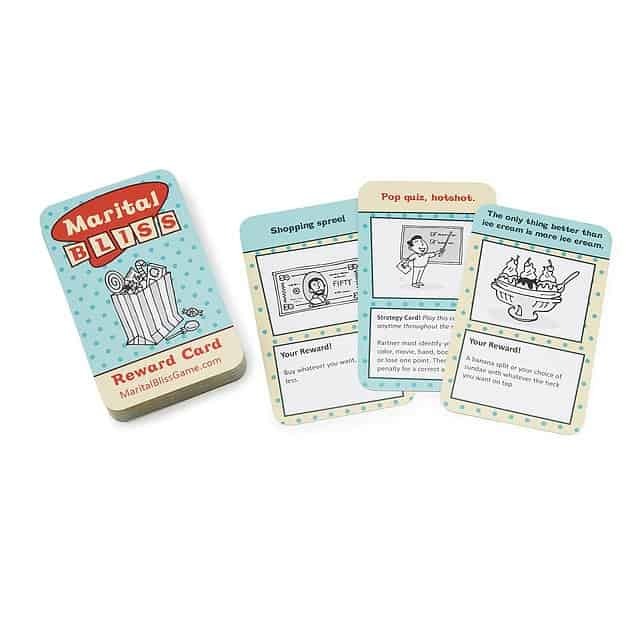 Married life may not be all fun and games, but that doesn’t mean you can’t have fun in the meantime by playing this fun week-long card game for the happy couple. This game involves challenges that allow the couple to reward each other in simple and thoughtful ways. This product is available from Uncommon Goods for $14.95. 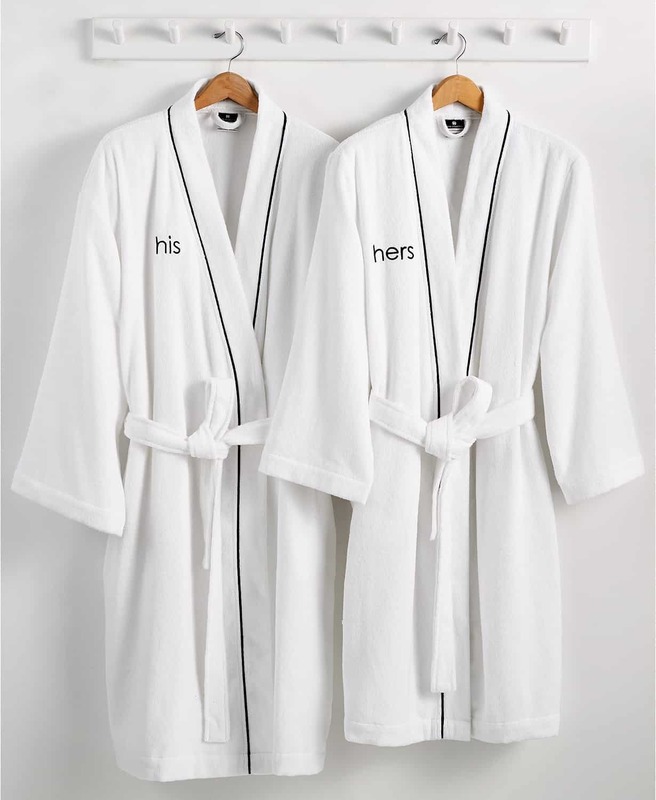 Plush hotel-style his and her robes made from rich Turkish cotton material makes a great engagement gift for the newly engaged couple. These robes feature embroidered labels and a simple design that is truly elegant. This pair of robes are available at Macy’s for $89 from their Hotel Collection. 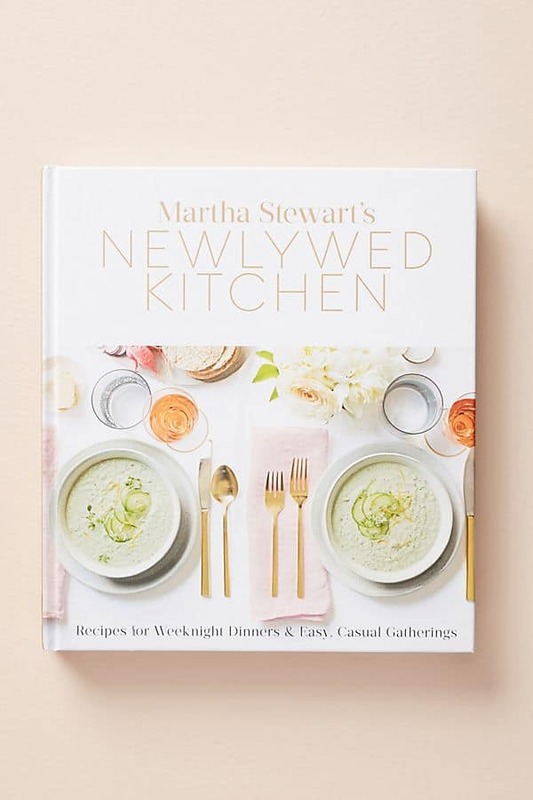 For the couple that loves to cook, there is no better gift than Martha Stewart’s Newlywed Kitchen. This special cookbook offers plenty of delicious recipes that the new couple can learn to create all on their own. It is filled with great meals for two and everyday favorites that they can prepare together. The cookbook may be purchased from Anthropologie for $40. 4 3/4" diam., 1 3/4" high. The bride and groom will be celebrating a lot before the big day. Make sure that they don’t leave behind wine stains on their new furniture by giving them a Wine Coaster or two as an engagement gift. 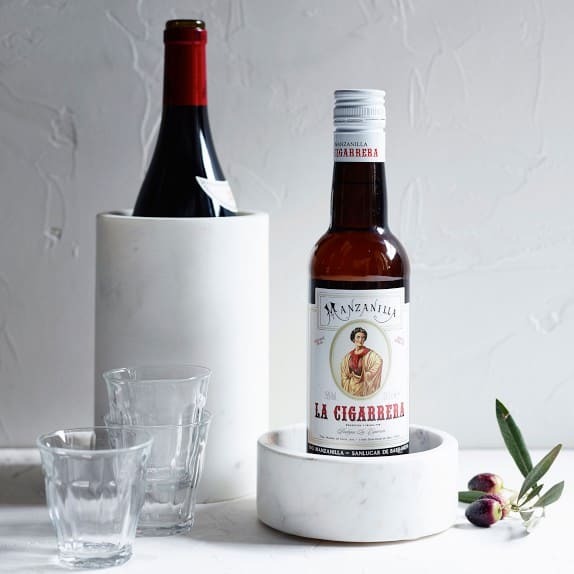 This unique coaster will cradle wine bottles and prevent them from leaving unwanted rings or drip marks behind. You can find them at Williams Sonoma for $19.95. bar regular. Classic bar tool set stocks any bar with all the essentials—a garnish knife, a muddler, a bottle opener, a stirring spoon and a strainer. Polished stainless steel stand displays tools on the bar and nests neatly into the ice bucket base. Pairs sleek with our Column cocktail shaker, wine bucket and chiller. CB2 exclusive. If the new home will have a bar added to it, the new couple is going to need this unique bar tool set so that they can entertain friends and family who visit. This bar tool set is beautiful to display and very useful at the same time. It comes with a handy matching stand. 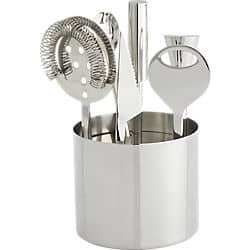 The CB2 Top Shelf Bar Tool is available from CB2.com for $49.95. Let the engaged couple come up with a signature drink that they can serve at their reception or rehearsal dinner. 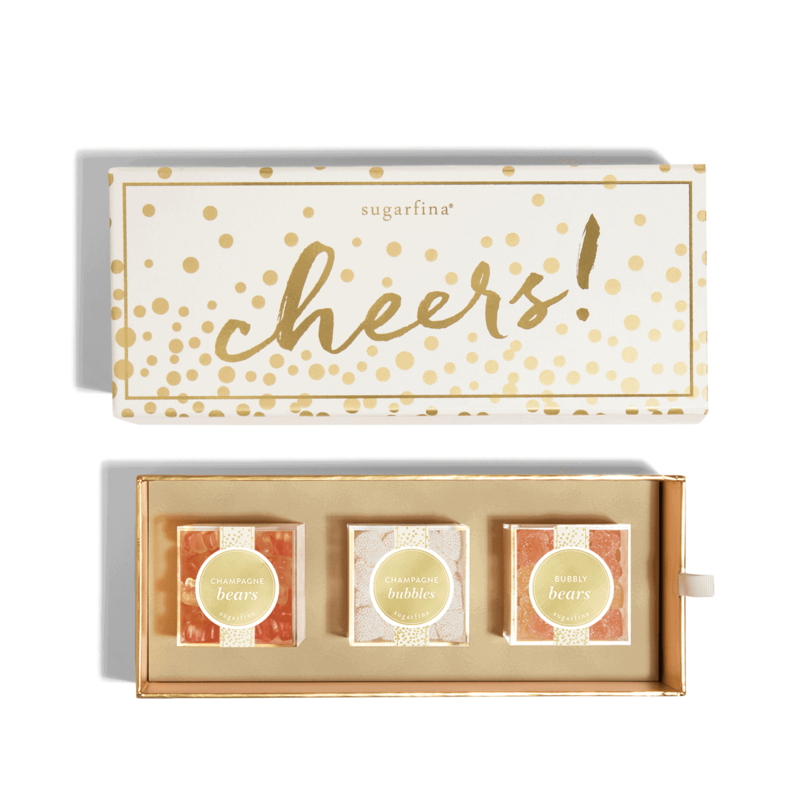 This cocktail gift set includes a box filled with all the ingredients you need to create a variety of cocktails. All that you need to add is the alcohol itself and you are ready to enjoy personalized drinks. 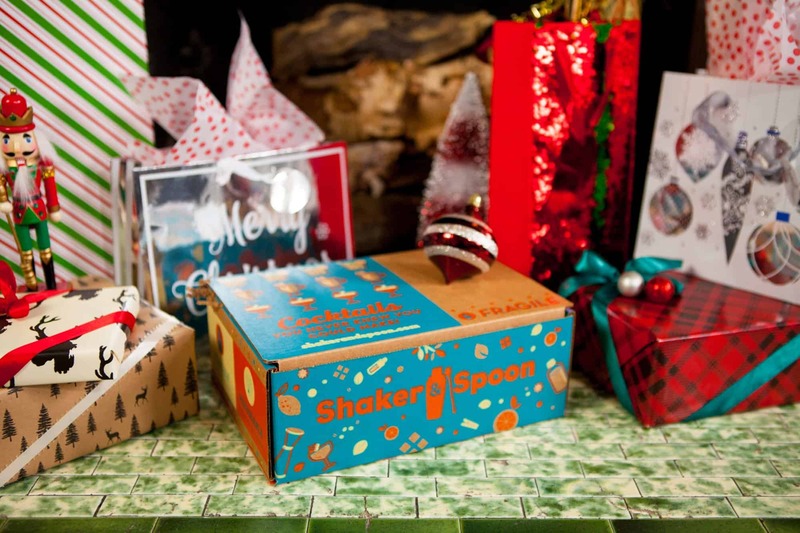 This box is available from Shaker & Spoon Subscriptions, which is just $50 for a one- month gift subscription. 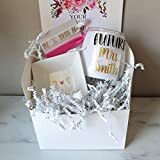 Wedding and bridal shower gifts are usually very easy to come up with. Even housewarming gifts can be a hassle-free gift such as a small kitchen appliance or set of new dish cloths. But an engagement gift? That’s something completely different and unusual for many people. Engagement gifts are typically given by those who are closest to the couple such as their best friends, parents, siblings, or grandparents. The idea hasn’t become as popular as wedding gifts yet, so if you don’t feel inclined to give an engagement gift, you don’t have to. 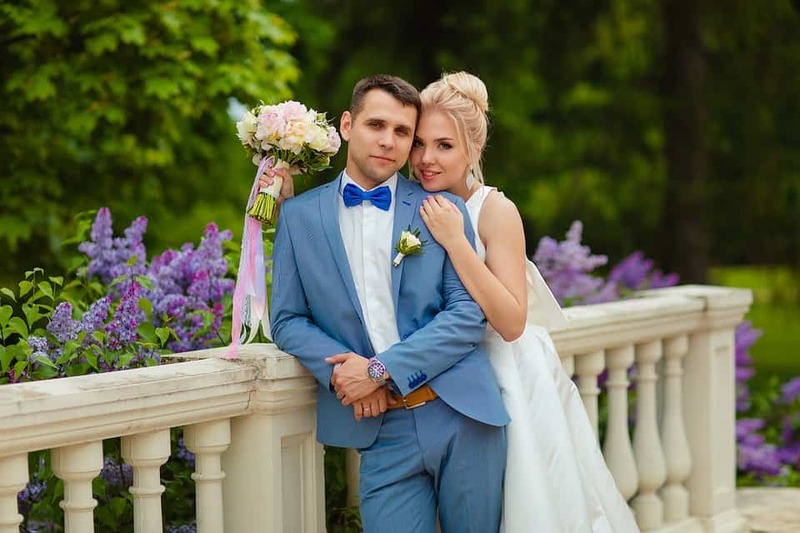 But if you like the idea and want to show the couple how happy you are for them, there are a few etiquette rules that you should keep in mind. When to Give an Engagement Gift? Engagement gifts usually aren’t expected by the bride and groom, so if you have a gift to present to them, any time would be fine. You may want to wait until midway between the engagement and wedding date just so that you don’t give the gift too early on. 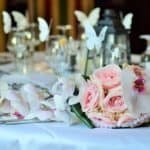 Should the Gift Be Presented at the Engagement Party? 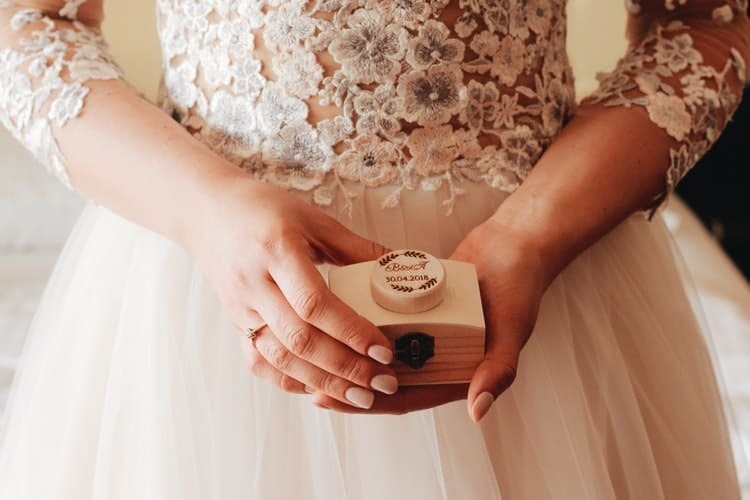 If you are invited to the engagement party, it would be completely appropriate to present a gift at the time, but it is not a requirement to bring one along. Since many people aren’t very familiar with engagement gifts, it can be a little confusing or awkward for the bride and groom as well. Here are a few helpful etiquette tips for the couple when it comes to engagement gifts. Do not ask for gifts or give out gift registry info when sharing an engagement announcement or a party invite. Thank-you notes should always be sent out immediately after receiving a gift, letting the giver know it was received and you appreciated it. Don’t expect everyone to present you with a wedding gift, or anyone for that matter. There will be plenty of gifts headed your way very soon for you to enjoy. Any gift that you give should be from the heart, and the couple will appreciate the thought that you put into it. But there are a few things that you can do to ensure that they will love the gift and treasure it for years to come. 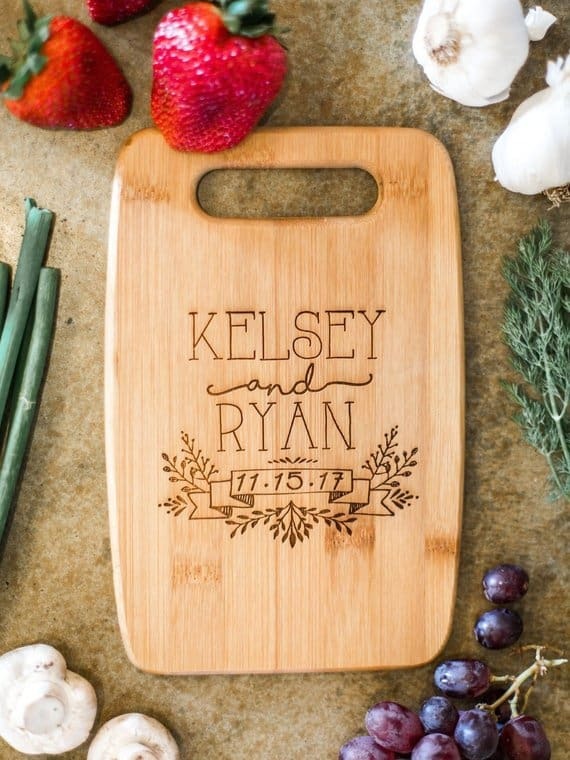 Make the gift personal by having something engraved with the couple’s names and wedding date. Or you could use the date when they first met or when they went out on a date for the first time. This type of gift will be treasured by the couple and will make a great keepsake for their growing family. Remember that you don’t have to break the bank to give a couple a great engagement gift. These gifts should be simple and meaningful, something that they can hold onto throughout the years. If you want to splurge on your best friend or child, wait until it is time to buy a wedding gift instead. A great engagement gift can be very different from a wedding or bridal shower gift. You are not necessarily buying a gift that the couple will need for their new home, but instead you are purchasing a gift that the couple can share together to remember their engagement. You may want to purchase something separate for the bride and groom individually, or you may want to buy them their very first shared gift. Either way, this is a fun gift option that you can be creative with to show the happy couple your love and support. Previous articleAll-In-One Wedding Invitations: Should You Use Them? Next articleCan You Wear A White Suit To A Wedding?